Have a roof leak and need a repair? 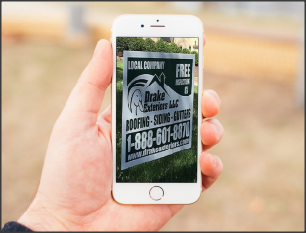 Drake Exteriors is here to help. Our expert roof repair team is professionally trained to handle any type of roofing leaks from emergency roof repair to leaks caused by storm damage and hail damage or leaks caused by missing shingles, chimney leaks, skylight leaks, nail pops, low slope roofs, etc on all types of roofs such as flat roofs, shingle roofs, ceramic roofs, tile and metal roofs. Request a free roof leak estimate online right now. No job is too small. 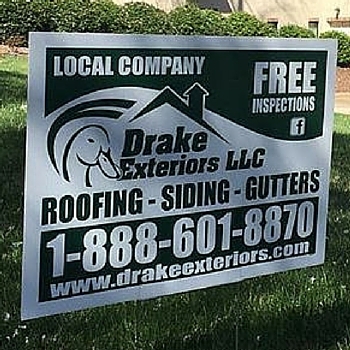 Request a free roof leak repair evaluation and allow our Expert South Carolina Roofing Contractors team to fix your roof in a timely and professional manner. Think your roof repair might be an insurance claim? Read this article and learn how the insurance claim process works. There are a lot of different projects that can be done around the home, and roof leak repair is one of those that may come up from time to time. These repairs give the opportunity for anybody that enjoys doing DIY projects to really flex their home repair muscle a little bit and to take on a project that may be larger than what they are typically used to. Regardless of whether it is an RV roof that has sprung a leak or if it is the main roof on your home, understanding a few things in advance will help you to make the most of the roof leak repair. The first thing that you need to understand, especially if you are doing repairs on your main home is that it is often necessary for you to have permits in order to take care of the job. The last thing that you would want is to have any unnecessary delays while the shingles may be removed, simply because you did not file for proper permitting. Not only is this a legal requirement, it will often give you the necessary information in order to make sure that the roof is nailed properly for your local area. The second thing that you need to determine is why the leak is happening in the first place. Any DIY project can involve a number of different problems, but with roof leak repair, it is typically as a result of improper installation in the first place. Regardless of whether the nails were shot through the shingles or if they were put in the wrong location, it can easily cause lift whenever the wind is blowing and allow water to get underneath. Once the underlying area becomes wet, it will begin rotting almost immediately. If you have a small repair to do, regardless of whether it is on your home or if you’re repairing an RV roof, you must go beyond the area that directly needs repaired. Cutting into the good wood before replacing it, or perhaps the metal on the top of your trailer can help to ensure that the repair is going to last for the long term. If you only try to fix the immediate area where the problem resides, there may be hidden issues that will eventually show themselves and you will end up having to do the repair all over again.